On this week’s episode we have an interview with Damian Lenshek of Project Dominic. Project Dominic is a new organizations established to help Catholics understand their faith and to present that faith to the wider world. Join us as we hear about how Project Dominic is spreading the Gospel to a world in need. You can find a copy of The Bible Versus The Catechism at Lulu and Amazon. 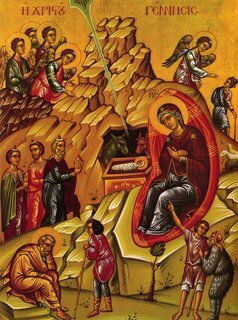 On the day before Christmas, we take a look at the spirituality and religious imagery of the icon of the Nativity and how it can help us to make the Christmas season more meaningful. Our song is Come On Ring Those Bells by Phantasmic (Featuring Tess Wiley and Her Orchestra). Thanks to all the listeners and may God give you his bountiful blessings this Christmas season. If you liked this week’s episode, please show your support with a vote at podcast alley, a pin in the frapper map and signing up for the e-mail newsletter. This entry was written by sbeshonertor, posted on December 23, 2005 at 12:30 am, filed under Advent and Christmas, Podcast, Spirituality. Bookmark the permalink. Follow any comments here with the RSS feed for this post. Post a comment or leave a trackback: Trackback URL. Thank you Father. What an amazing icon. 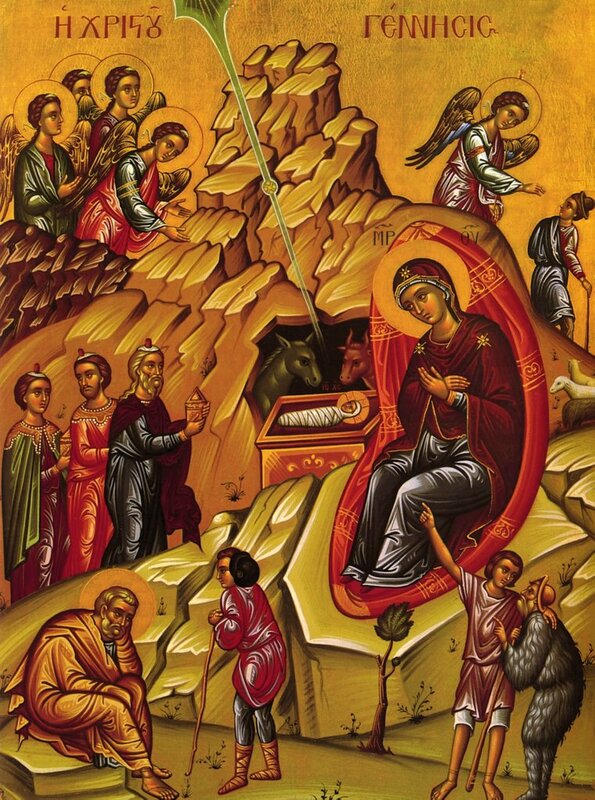 With my prayers for a blessed and peaceful Christmas.